This summer, the Grammy-nominated Godfathers of alternative cabaret will hit Komedia Bath with a very special show celebrating their 30th anniversary. 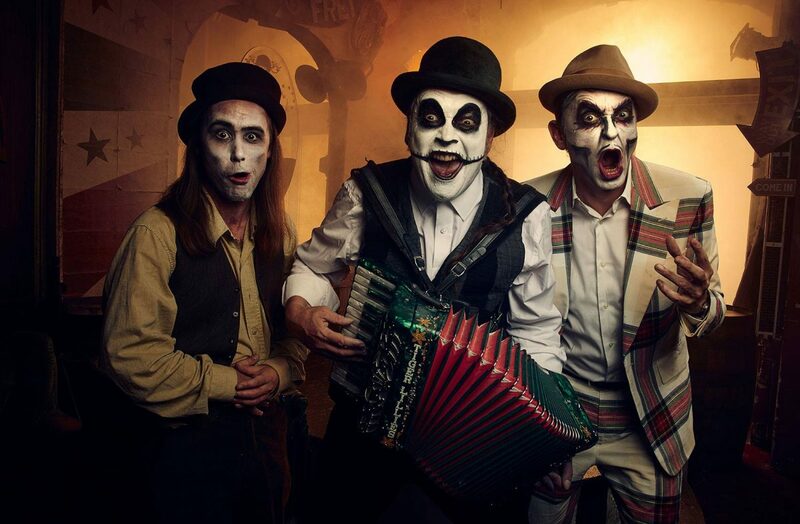 A London-based experimental rock trio playing their signature blend of chanson, opera, and Gypsy music, the Tiger Lillies are difficult to define. Their world is dark and hilarious, featuring deep sadness and cruel black humour interspersed with moments of immense beauty. Formed in 1989, the Tiger Lillies have gone on to become one of the most unique, provocative, and genre-defying bands of all time, winning an Olivier award for their hit West End musical, ‘Shockheaded Peter’. On Sunday 23rd June, they will transform Komedia Bath into Devil’s Fairground. Temptation and sin await!